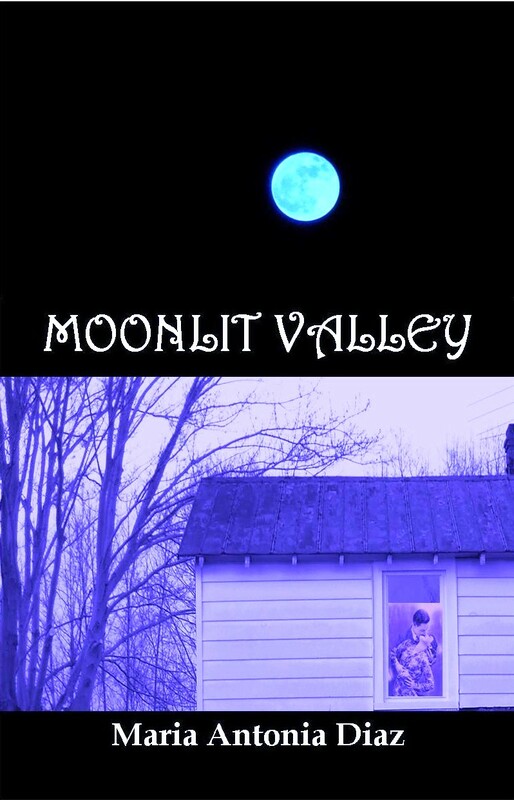 I decided to offer Moonlit Valley via Smashwords because it offers a wide distribution option for electronic books. In a way, it was like killing many birds with one stone (ouch). It offers the ePub format (nook, apple,kobo…) and others like the Sony reader, Palm, pdf, rtf, and of course plain text, as well as library lending. This seems the perfect all-in-one, one-stop-shopping deal. For someone like me, who gets easily overwhelmed by too many sites to keep track of, and too many profiles, joining Smashwords was a plus. There is only one thing I did not like – the look of the end product of an electronic book. Unlike Amazon Kindle, it is a bit messy and limited on what you can do with font type and font size. Your chapters might end anywhere in the page, and the worst is that when you are trying to fix it, your book is out there available to the public – there is no in-between or prelude to the publishing button. I was so worried that I could not get Moonlit Valley as spiffy as in the Amazon Kindle, that I became frustrated. However, I hadn’t finish fixing my file when I already had three downloads for a sample of the novel – I guess a good thing. How I dealt with this feeling? It was easy. I searched for the books of famous and best-selling authors, then looked at their file – they were having the same issues and troubles with how the novel looked. Then, I guessed that there was no way getting around that – Smashwords electronic books will never look as perfect as Amazon Kindle, but at least will offer readers who use the e-formats mentioned above the opportunity to find my books, and sample them. I find that offering Moonlit Valley through Amazon in paperback and kindle format, as well as offering it through Smashwords in various e-formats covers pretty much everything (check the Novels tab in this blog). So I am sticking with this way of doing things. I advice that you create profiles in Amazon USA, UK, France, EU, and that you do it in the main language (use goggle translator) as well as follow-up with an English description underneath (just in case). Making use of the forums on Amazon/CS from time to time is a good idea as well. One thing I wish I could do is to manage all the Amazon stuff from one Hub, meaning the CS, Kindle, and Author Central – it would save much back and forth. As far as social networking goes, I love Facebook because it offers so much, and although I don’t love twitter’s format that much, I am trying to get used to it. To me, FB is more geared to follow-up in conversation, while Twitter feels like a bunch of birds chirping at the same time, with little or no interaction between them. I will give it some time. One word of advice to new authors trying to get into social media, “it is not that easy to transfer all your people from your personal FB account into your Author Page – most of them will not click to join the new page, but they are more than happy to interact with you through your personal FB account. So my advice is that if you are like me, who cannot bother with too many profiles and accounts (hence why I condensed two blogs into this one and this one will serve as my author blog as well), the best thing is to start your FB or Twitter accounts with your author name – it will be much easier in the long run. I made that mistake, so now I share on both. I guess if you are using a pen name, then you have to keep multiples of everything, and to me that translates into nightmare. For me, keeping it simple works best, despite all the advice out there saying that you have to be in every format/platform available. For me, doing that would be contra productive because I would end up tired, overwhelmed, and dreading the whole thing, and with no desire to write, which is the main purpose – writing novels. For me this is what works: Amazon +Kindle + Author Central + Smashwords + Facebook + Twitter + WordPress = A happy writer. In the end, we want to be happy writers and enjoy the process. Too much of anything gets in the way, that is how I feel.